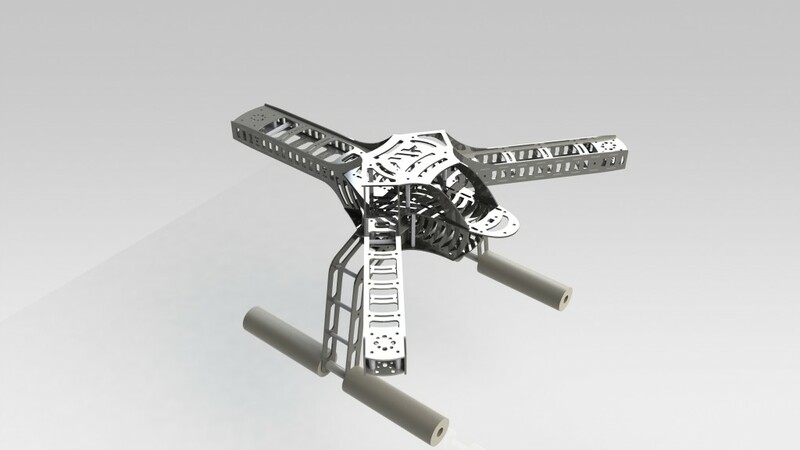 A friend and I have been working on a multirotor project. 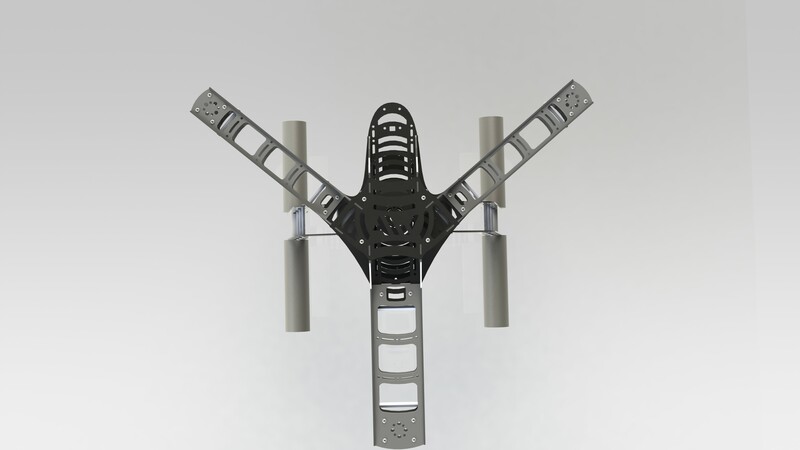 We began by purchasing a GAUI frame and fitting it with an APM 1 autopilot from DIY Drones. It all started as a project basically entirely from store-purchased components, with a bit of soldering and plenty of zip ties required to get everything together. Our first flights were fairly successful considering how quickly (and somewhat haphazardly) the parts came together. I was literally soldering on my hotel balcony on a dinky 1 by 1 foot plastic side table using cheap components. Nevertheless, things turned out pretty well, and the DIY community has done a fantastic job with making the APM friendly and easy to use. This is our first quadrotor, "Viking", running entirely autonomously. Keep in mind that we can take over control via RC at any time. The GAUI frame is neat, but it won't work well for what we have planned. We had purchased a spidery frame which, while it looked cool, was far too flimsy, and broke upon impact. We've been meaning to build our own Y6 frame, which has three booms, each with one motor pointed upwards and one motor pointed downwards, making for a total of six. The advantage there is that you can theoretically lose a motor in flight and keep on going. 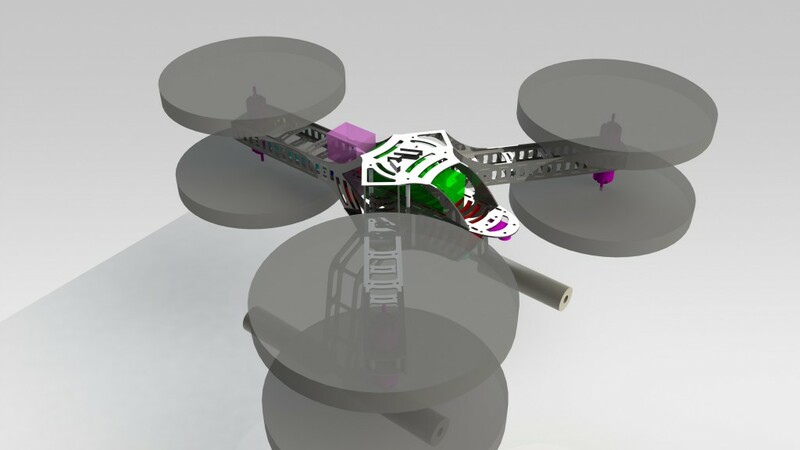 We want to put a gimbaled camera underneath our multirotor, and have nice components for the electronics and battery pack . Seeing as it is better to have a custom design that one can change oneself to fit one's needs, and I need to get up to par with my CADing skills, I made up some drawings for a new frame. The result looks nice. I wanted it to be entirely fabricated using parts available from McMasterCarr and CNC-ed flat G10 sheets. This design fits the bill, with standoffs, fasteners, tubing, and foam from McMasterCarr. I haven't seen it built yet, and am not sure what the tolerance levels on CNC machines are, but I am hoping that it will fit together rather nicely. Hopefully I'll have some nice photos to put up once it gets machined and built. 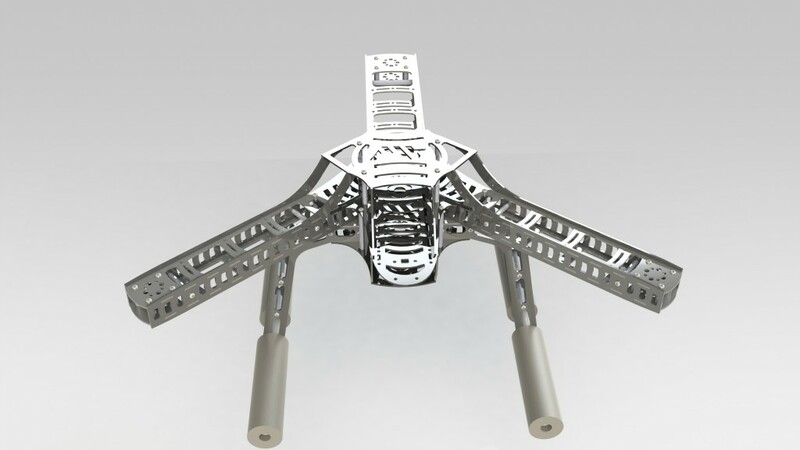 All renderings were made with Solidworks.